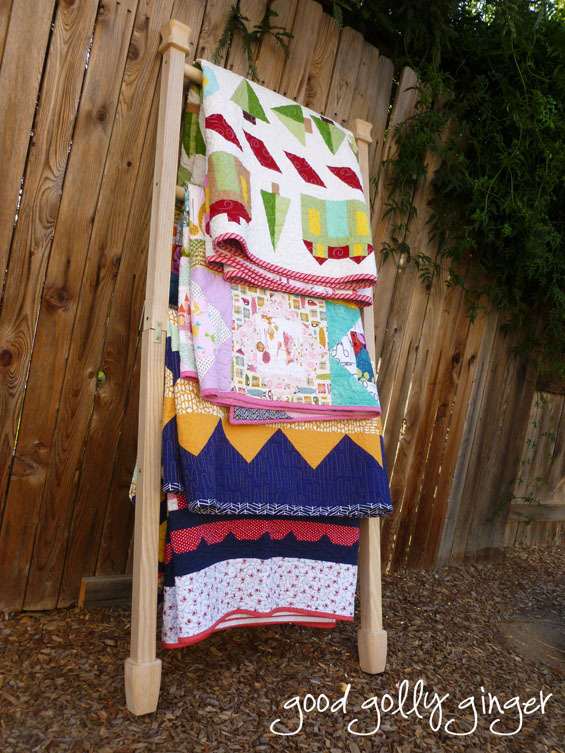 Good Golly Ginger: I Built A Quilt Ladder! I Built A Quilt Ladder! I definitely needed a place to store my quilts. When they are not in use, the quilts have typically been strewn over a recliner and a glider chair. With two quilt on each, the recliner and glider were leaning back and hitting the wall under the weight of the quilts. Yesterday, I went to Lowe's, and I bought four 28" table legs, two 48" x 1" dowels, and various table feet. I also picked up some brackets to secure the legs together. After two broken bits, a blister from pre-drilling, and a cut from the aforementioned broken bit, I have a quilt ladder! Good thing that I didn't need to use the table saw, huh? Don't worry, I am fine and healing. And most importantly, don't worry about my quilts being displayed outside in the backyard...the lighting was better outside for photographs. Here they are inside and placed on their new home. Note: none of my quilts match! Ack! This looks great and is a wonderful solution to keep the quilts from dragging down your furniture! I'm impressed with your building skills (and heal fast)! Great quilt ladder! I hope the blister and the cut heal quickly. 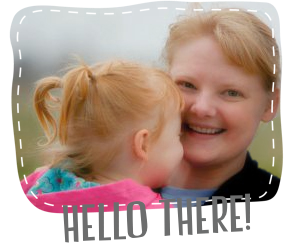 Thanks for sharing on TGIFF! Quilts don't need to match! Your ladder is a great idea. Well done, Handy Woman. It looks great, whether or not your quilts coordinate. Very cool ladder and a great way to solve your problem! The quilts aren't supposed to be matching. I think it would look quite boring if they did. 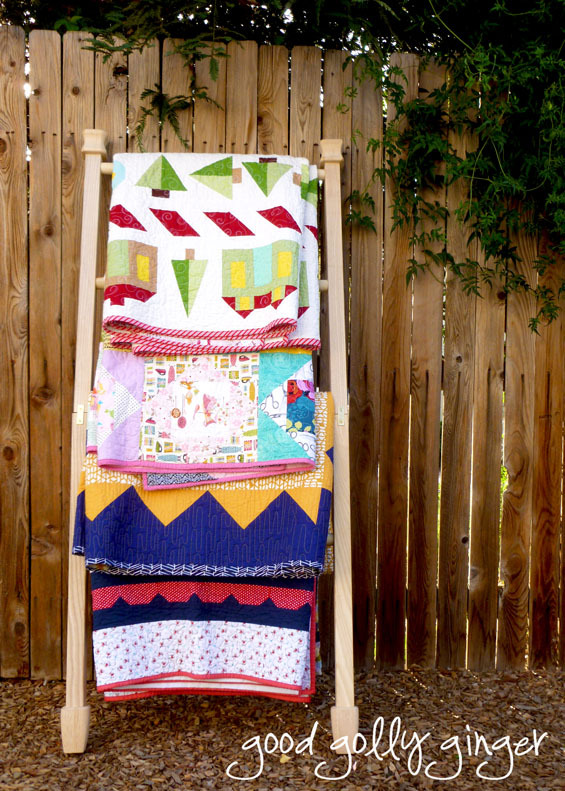 What a great idea to make your very own quilt ladder!! Clever you. good for you, and it looks great in it's new home!! I am soooo impressed! It looks wonderful and your quilts looks so very happy in their new spot. One of importance I may add. You go, girlfriend! 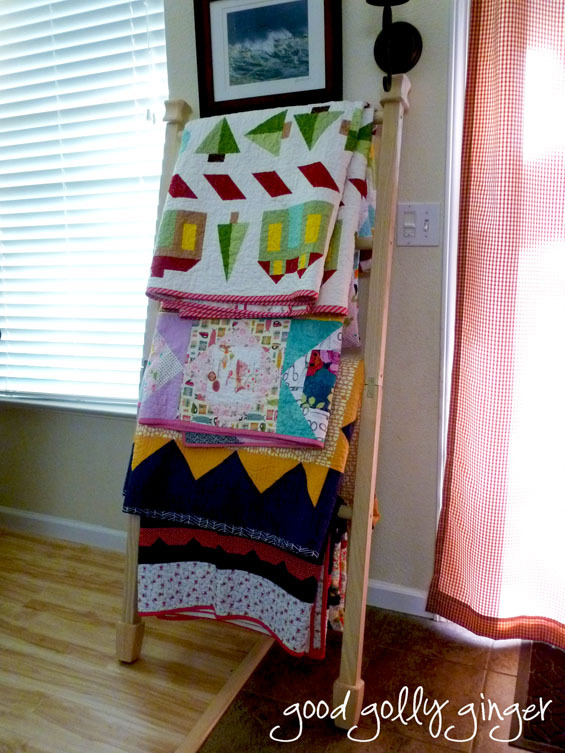 Your new ladder looks fabulous and so do your quilts on display! Nice job! Hmmm, you have me motivated to make one of those things. As you know, mine are helter-skelter around the house. Good job! !